The dress code for this event requires a long gown (but not a hat). Letizia wore a gorgeous dress with embroidered appliques. Here's another good look at the patterns on the sleeves and down the sides of the gown. 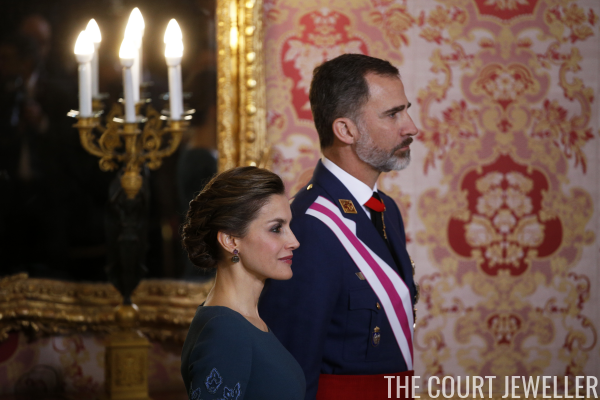 Letizia's jewelry for the event was, as per usual, a pair of bright earrings. She selected earrings by Coolook, a Spanish jewelry company that has quickly become one of her favorite brands. Here's a close-up of the earrings. 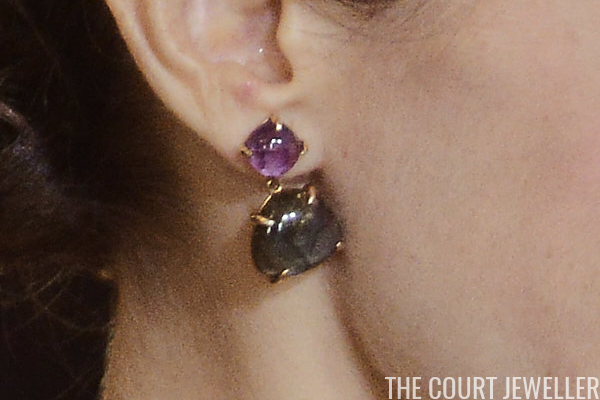 They're the brand's Sarin earrings, made of amethyst and labradorite set in gold-plated silver. They retail for 143 euros.